In this debut fantasy thriller, a trio of mercenaries becomes embroiled in the machinations of a necromancer and his runaway daughter. Corinth, an elf with a shady past, has just been given the rank of sage knight, a kind of freelance lawman. After leaving his decaying hometown of Enzlintine on assignment, Corinth acquires two cohorts: Aventis, a man with wicked sword skills; and Nadine, a fiery redhead with a decidedly larcenous bent. After some preliminary tasks and battles—both magical and military, often at the same time—the three are captured by the vile necromancer Mortiscet and coerced into helping his daughter Rieka recover a magical book. Rieka, however, takes the quest as an opportunity to escape her father’s clutches, and throws her lot in with her new companions. As they continue on their mission, the fate of their world is, needless to say, at stake. Author Cratsley offers a standard high-fantasy adventure, full of elves, orcs, quests and magic, written in an epic pitch. There’s little here that will be unfamiliar to a seasoned reader of epic fantasy or a participant in role-playing games; in fact, the book’s quest structure and its characters’ well-defined skill sets and flaws seem straight out of an RPG. The prose itself, however, can be shaky: Corinth experiences everything as a “sensation in his chest”; most characters’ primary reaction is one of contempt; and nearly every opponent is a “menace,” even when it’s actively attacking. The author also could have more clearly laid out the rules and norms of this specific fantasy world. However, he uses his story’s increasingly high stakes to believably and authentically develop his characters. Although the novel ends on a cliffhanger, it resolves enough plotlines to satisfy readers; it feels like a complete story, which isn’t often the case with first series installments by novice authors. 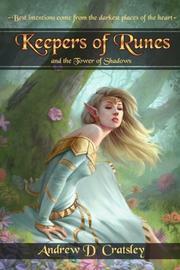 A somewhat flawed but promising debut that will appeal to hard-core fantasy fans.